I must admit, I usually don’t order biscuits and gravy when going to a restaurant for breakfast. I’m more of a pancake girl, but I was excited to mix things up and do a breakfast-y Take Three Tuesday. There was a clear winner of the three places we tried, therefore, I’ll put them in order of “bland” to “grand”. 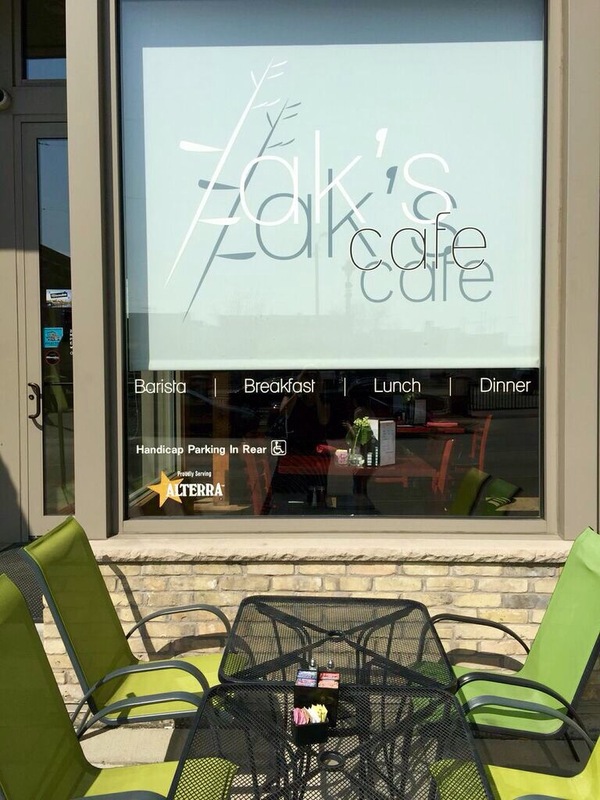 Bland Number 3 – Zak’s Cafe 231 S. 2nd Street, Milwaukee Aesthetically, Zak’s Cafe was great! 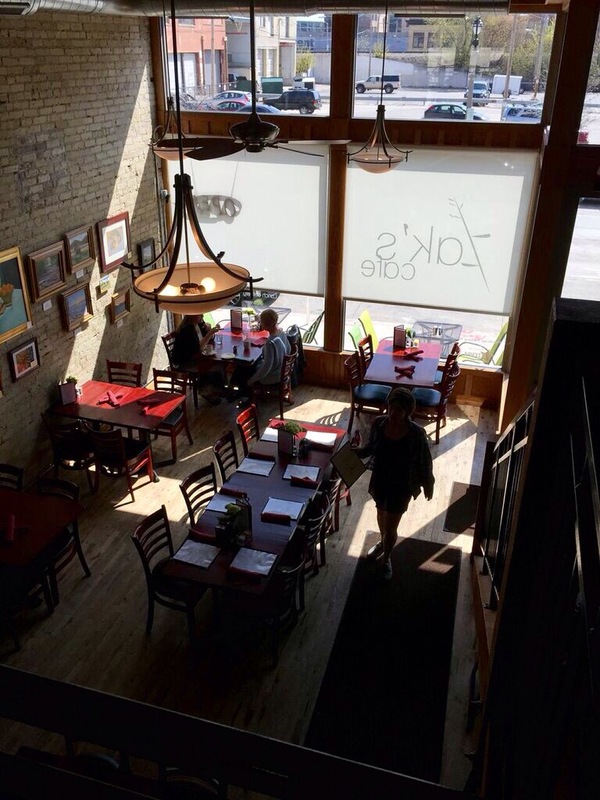 I loved the exposed brick and duct work, tons of natural sunlight and very friendly staff. They also offered outside seating as well which really cute. To drink, I ordered a Mauimosa ($8) – pineapple and strawberry infused simple syrup, orange juice and sparkling wine. I couldn’t quite make out the strawberry, but I liked their spin on a mimosa. The biscuits and gravy ($9) came with two eggs which I ordered scrambled. Like I mentioned earlier, I’m not usually one to order biscuits and gravy so I was looking forward to flaky, buttery biscuits and sausage gravy goodness. That’s not what I got, however. The eggs were good and warm. It went downhill from there. The biscuits were hot and buttery, but so dense, not flaky at all. And, in addition to my gravy being cold, it had zero flavor. I was pretty disappointed when we left, but quickly perked up when we noticed the chocolatier (Indulgences Chocolatiers) next door had opened. I bought the Salty Milk Chocolate Toffee ($7) and have been having explicit dreams about it ever since. YUM! 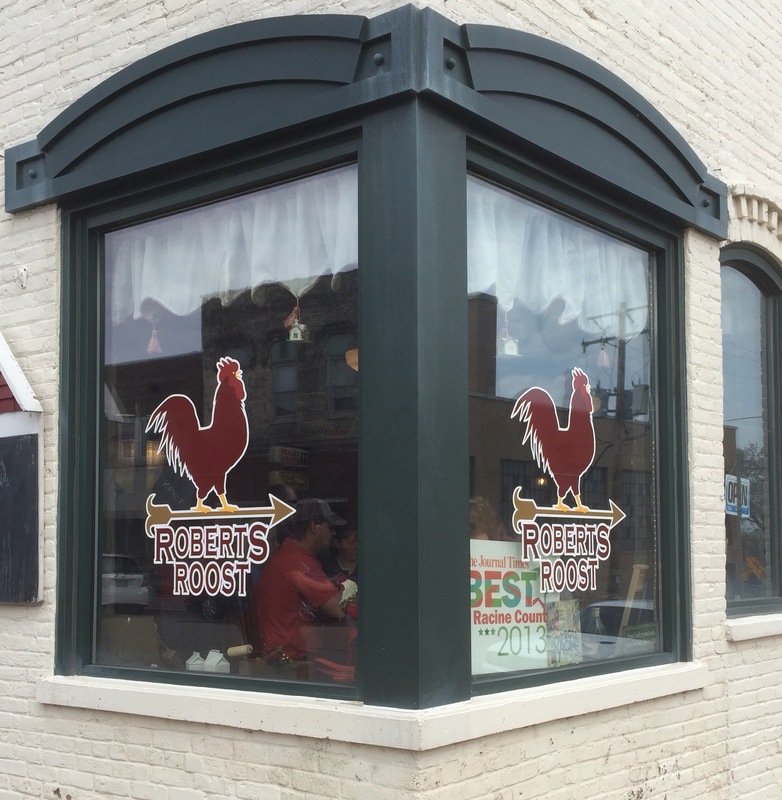 Number 2 – Robert’s Roost 600 6th Street, Racine An adorable little place inside and an outside seating area that accommodates dogs as well. GREAT idea! 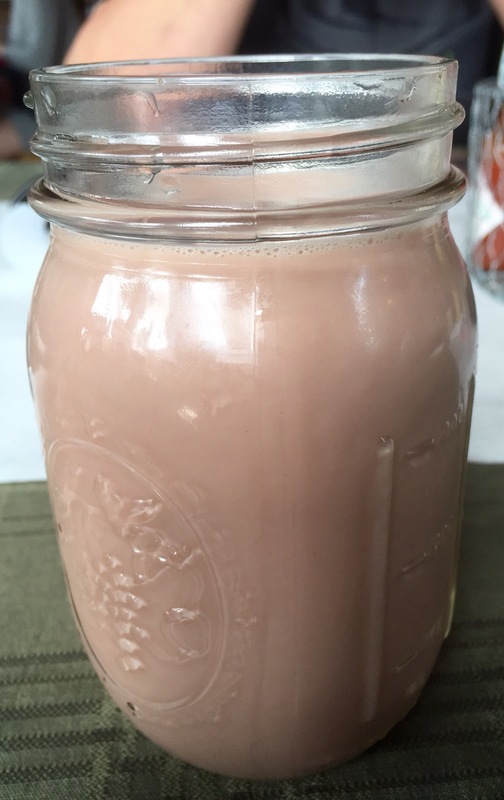 To drink, I just went with a chocolate milk ($2.65, large) and it came in a cute mason jar-type glass. I love little touches like that. The biscuits and gravy ($4.45 1/2 order, $5.95 full order) didn’t come with any sides, so I ordered a scrambled egg ($1.45) to plop on top. The staff at Robert’s Roost were very sweet and accommodating – when our waitress/owner realized someone in our party was craving something not on the menu, she said she’d have the chef whip it up. That was pretty cool. Speaking of cool – the gravy on my biscuits was cold. Is this a thing that I’m not aware of – cold gravy on hot biscuits? I liked the flavor of the gravy, it was just wasn’t warm enough. The eggs were good and, although there were a few hard (over cooked?) bits on the biscuits, overall they were flaky and buttery and good. I’m going to give this place another shot in the near future – I’m hoping the cold gravy was just a fluke (fingers crossed). 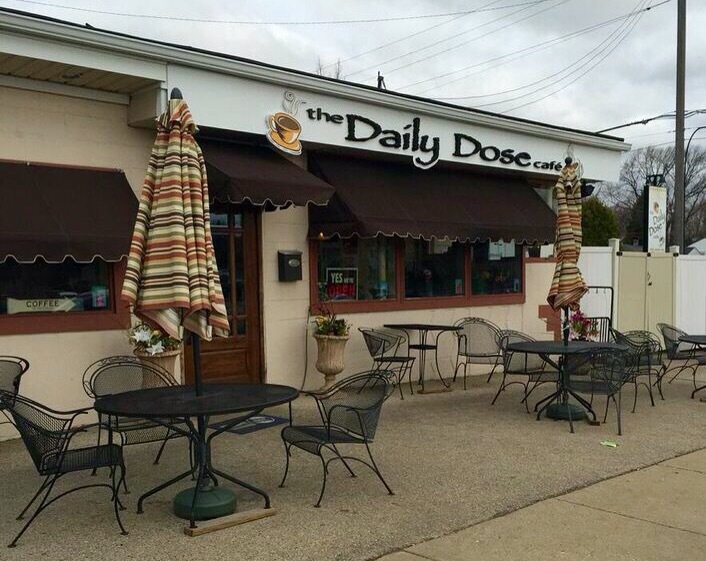 Daily Dose is a relatively small, cozily decorated breakfast and lunch spot. When I first entered, I smelled the fresh ground coffee and was happy to learn that they offer cappuccinos and lattes (flavored upon request) in addition to regular coffee. We asked the waitress what her favorite flavor was – she suggested white chocolate caramel – and it was good. 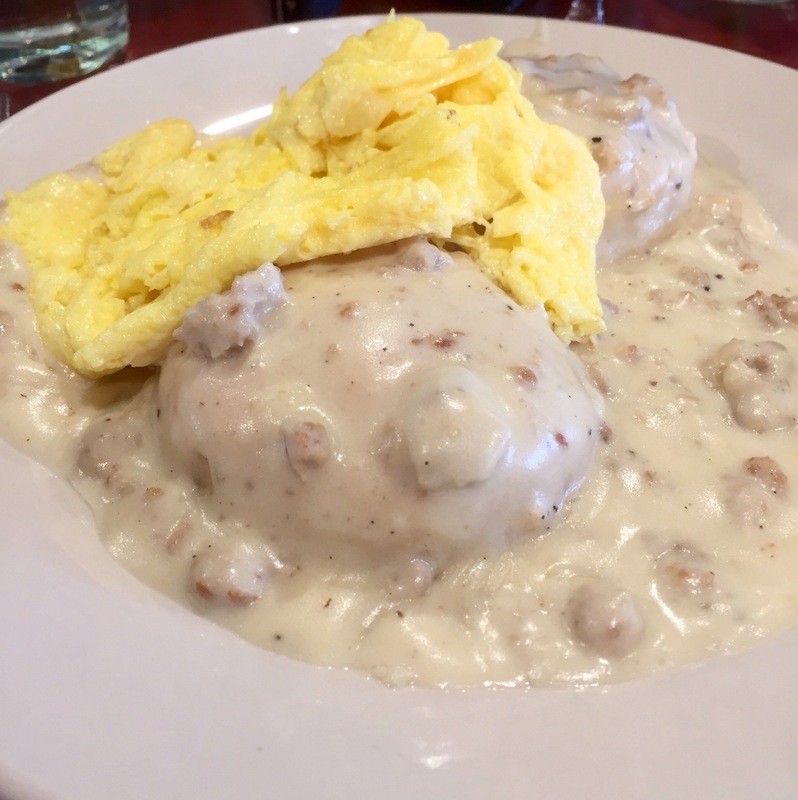 We had two choices for our Take Three Tuesday mission – Biscuits and Gravy ($5.50 full order, $2.95 1/2 order) or Bisculicious Plate ($8.95 full order, $5.50 1/2 order). 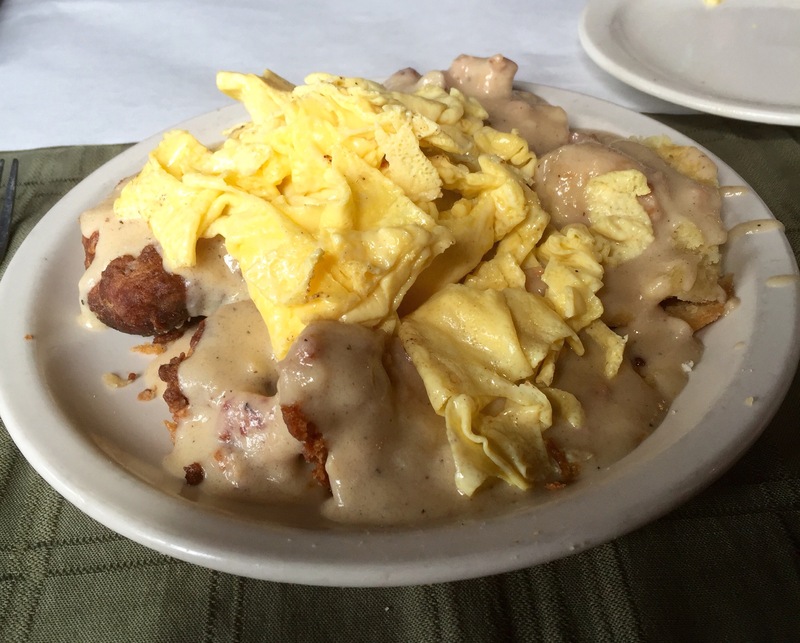 The Bisculicious Plate included biscuits, fried potatoes, eggs and gravy – that’s the one I chose. This was a home run. 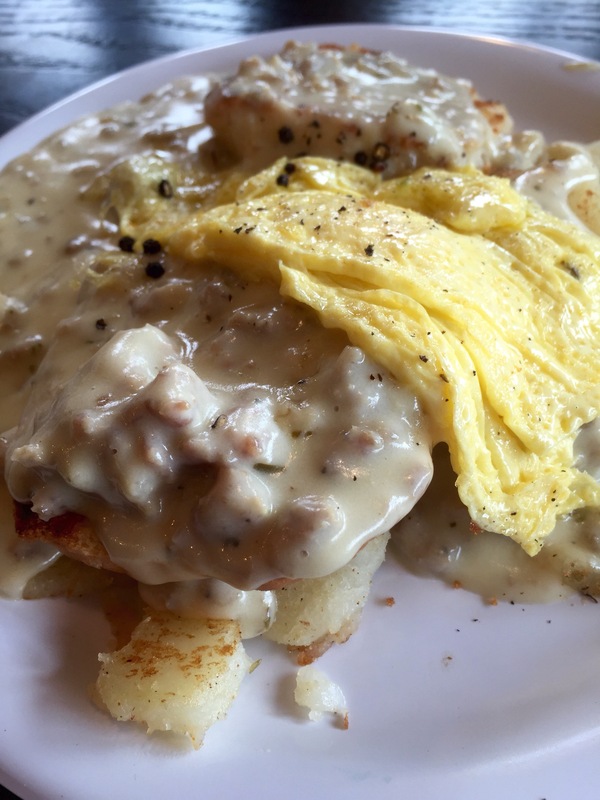 Flaky, buttery biscuits inside with a light, toasted crunch on the outside, fried potatoes and scrambled eggs covered in a peppery, HOT (not spice-wise, temperature-wise) sausage gravy. This was good. Really, really good. And there was a lot of it – I couldn’t finish the 1/2 order. And the staff were all very friendly. I’m putting the Daily Dose Café up high on my list of “regular breakfast spots”. I’ll be back very soon for this dish again.